Tonight we had a small Tri tip (1.5lbs) to cook and some fresh cauliflower. The Tri tip is a great cut of beef that is quite popular in the Western US, it is perfect for our new Q-Salt. The cauliflower was broken into chunks, tossed with olive oil and Naturiffic Garlicky Lemon Salt. After seasoning the Tri tip with Q-Salt, it was tossed on the Weber grill. The Tri tip cooked in-direct for about 35 minutes (127 Internal temperature) and then taken off to rest before slicing. Cauliflower looks done, time to slice the Tri tip. 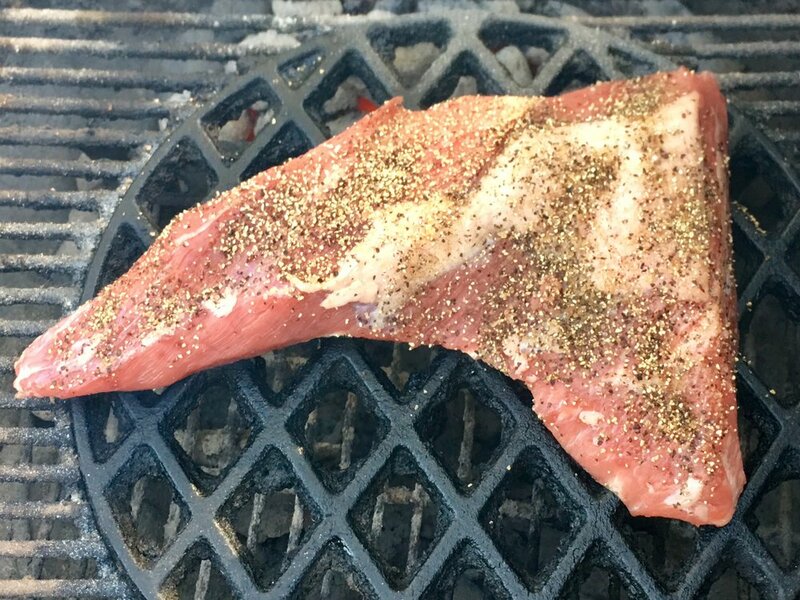 The Tri tip was perfectly seasoned with the Q-Salt and had a fantastic flavor! The cauliflower was moist, tender and delicious as well.